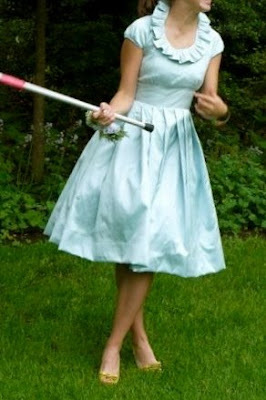 I stole this picture from Kristi just to show how AMAZING a prom dress can be (and look at her darling shoe choice BTW)! My friend, Anne, who is an incredibly talented seamstress made this for her daughter a few weeks ago. 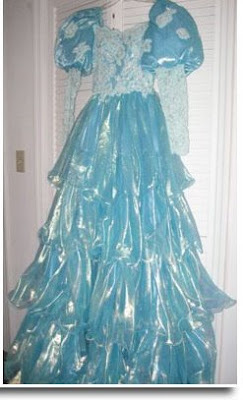 I think it is seriously one of most beautiful prom dresses I have ever seen--from the fabric to the color but especially the distinctive style. 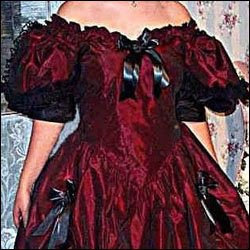 Anne is well known at church for re-doing the teenage girls dresses to make them modest. And let me tell you--when she is finished they are tons more stylish than they were to begin with. dresses out there but for me Anne's dress is the winner by far. I think we are all going to need some sewing classes in the future--especially me. But, thank goodness for chic, talented women who show us the amazing possibilities. I am wowed by that dress! I can't believe how creative the seamstress is, she's quite the artist. Holy Cow! That picture looks like it is out of a magazine! LOVE the dress!! That is absolutely awesome! okay.. I just really love your blog.. I don't want to be too much of a stalker.. but seriously your life seems amazing.. and the luck.. to have your kids entertained with all those fun out door activities all summer.. wow..
my blog is private, but if you email me, I will totally invite you.. but I will warn you.. my life is not that exciting! :) I have seen you comment on kristi's..
Is that girl in the black about sit to down or something? Her stance is quite strange.